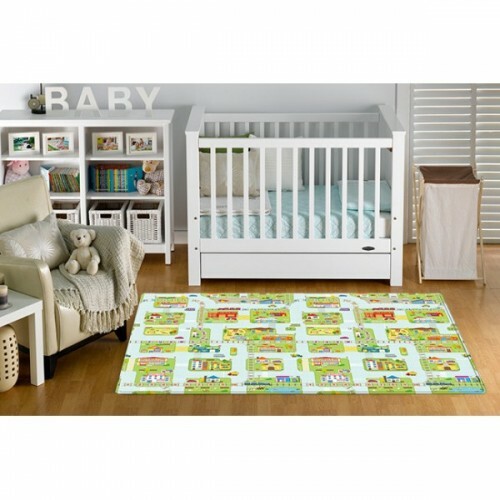 This Bubba Mat has a contemporary design that looks fantastic on the floor and will suit all spaces. 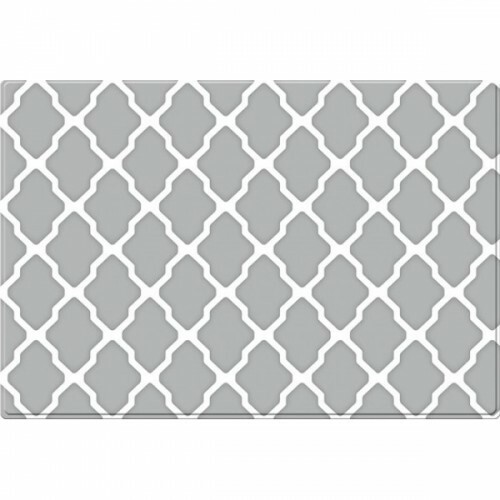 A neutral grey and white toned geometric design is stylish, and looks amazing on any floor type. The reverse side has our popular interactive town playspace. Incorporating a softer contemporary town and road set, and a train line with alphabet and numbers. The town has a wonderful array of bulidings and locations to visit including Fire station, Airport, Cafe and Restaurant, Stores, Playground and Farmer's Market, Zoo, Police Station and more. It is an imaginative play area for both boys and girls to enjoy with cars and trains, and the incorporated alphabet and numbers mean the whole space is brilliant for little learning minds, as well as being a great space for hours of playing over the years. This design combination has a contemporary focus from the top to reverse suitable for years of play for all children, making it perfect for stylish homes and service providers. 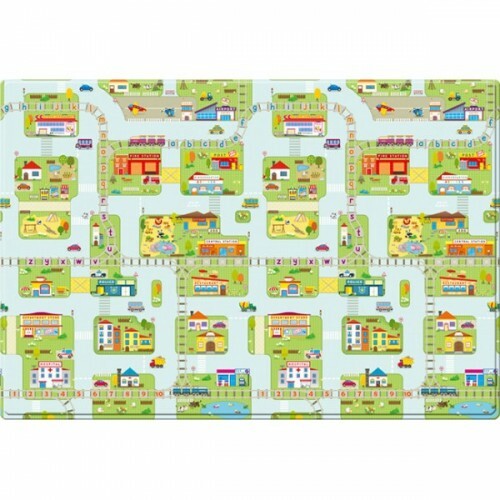 It looks fantastic on the living room floor for mum and dad, and is perfect for playing with some toy cars, wooden trains, and blocks together for growing children and friends and family. This space carries all the benefits that the Bubba Mats™ are known and trusted for. Soft, safe, non-toxic, comfortable for the kids and mum and dad, and simply wipes clean making it ideal for growing families. 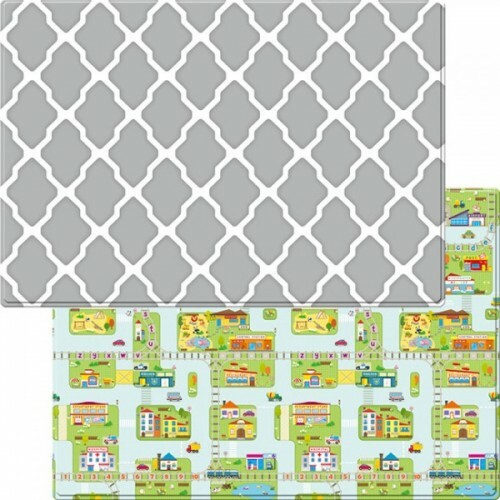 The Premium Urban Bubba Mat™ is in the Standard size of 1.9m x 1.3m and is soft and cushioned at 12mm thick.